NOTE: This item is available for pre-order. Anticipated availability is Q2 2019. Sound Devices' Scorpio is a 32-channel, 36-track portable mixer/recorder designed for state-of-the-art production sound. With 16 mic/line preamplifiers, 32 channels of Dante in and out, AES in and out, 12 analog outputs and multiple headphone outputs, Scorpio is well-suited for any production scenario. 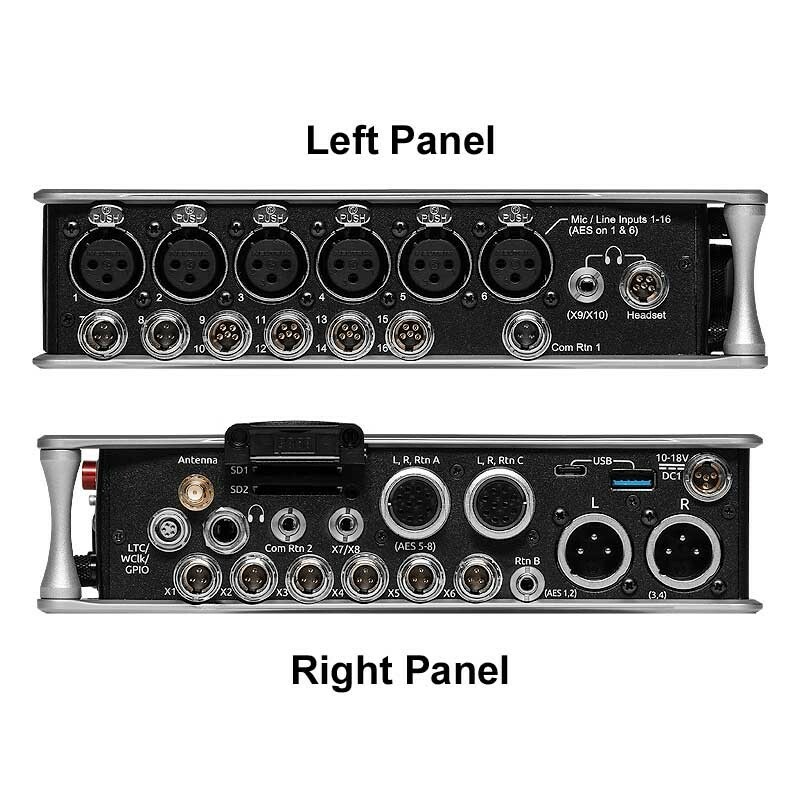 A fully-customizable routing matrix enables sound professionals to send any input to any channel, bus, or output. Up to 12 buses may be individually mixed. Due to its compact form factor, the Scorpio is equally at home over-the-shoulder or in a mobile rig. The Scorpio has an internal SSD and adds the ability to simultaneously record to two SD cards for redundancy. For additional flexibility, sound professionals can send different files to their choice of media. The companion SD-Remote Android application allows for control of the Scorpio via a large display. Great attention to detail has been paid to every aspect of the Scorpio's design. Most common menus are accessible with only one or two button presses, and many menu shortcuts can be achieved with only one hand. 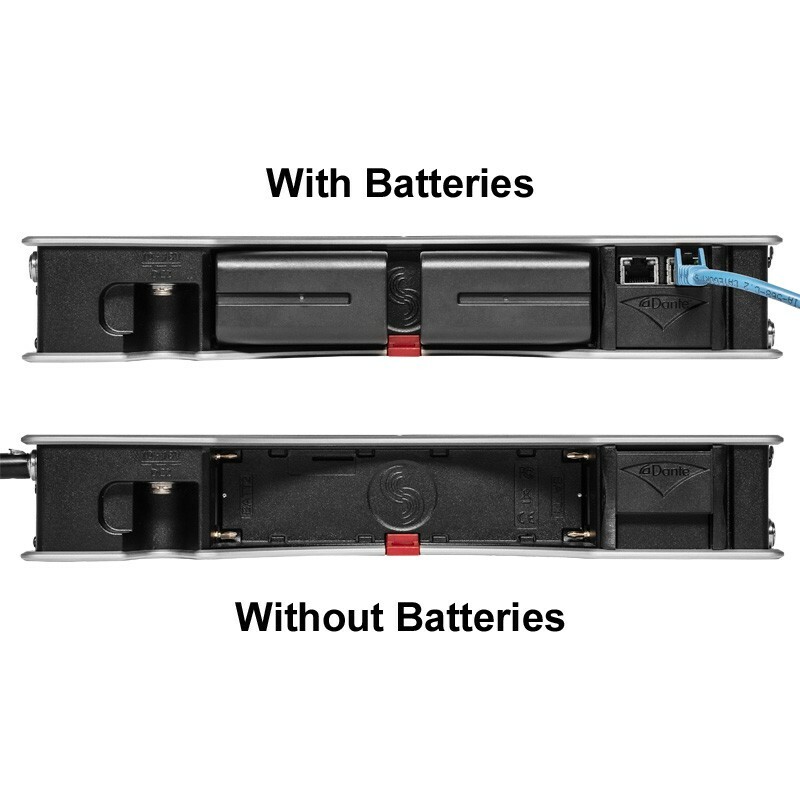 Scorpio features a built-in dual L-Mount battery charger and may be powered with L-Mount batteries (not included) or via the TA4 DC inputs using smart batteries, NP-1 batteries, or in-line power supplies. The ultra-accurate, fully-featured timecode generator contains its own battery to hold timecode for up to four hours after power off. For more information, see Sound Devices' Scorpio FAQ section. High-Pass Filters: Adjustable 40 Hz to 320 Hz, 18 dB/oct. 1st stage analog (before preamp), 2nd stage digital. USB-C (USB 3.1 type 1) for file transfer of internal SSD, both SD Cards.